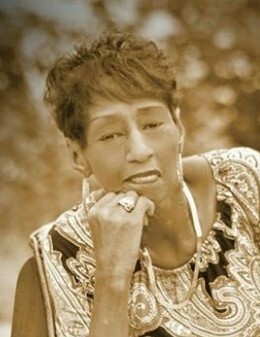 Obituary for Rosa Mary Johnson | Herald & Stewart Home-Funerals, Inc.
Rosa Mary Roberts Johnson,68, wife of John Johnson, and widow of Doby Copher, of Mt. Sterling, passed away Sunday, April 14, 2019. She was a 68 year old native of Bath County, only child of the the late Frank and Catherine Roberts, a retired Mortgage Loan Officer after 35 years, and member of Sharpsburg Greater First Baptist Church where she was a member of the choir and the Missionary Society. She served as president of the Pastor's Aid and was a member of the Benevolence Committee. This saint of God leaves to cherish her memories her loving husband, Johnny Johnson, her children, Shawn Copher of Sharpsburg, Dana (Sean) Smith of Louisville, Stephanie (Chad) Clemons of Mt. Sterling, Tracy Johnson of Versailles, Terri Johnson of Versailles, 13 grandchildren, 3 great-grandchildren, and a host of cousins, step-siblings and friends. Her funeral will be 1:00 Friday, April 19 at Sharpsburg Greater First Baptist Church, Rev. Brenda Higgins Williams presiding, with burial at Camp Nelson National Cemetery at 1:30 Monday. Visitation is 11-1:00 Friday at the church. Herald & Stewart Home for Funerals is handling arrangements.